How do I manage annual holiday leave accrual and entitlements? How does the System Behave when Taking Leave? You can manage leave without pay by creating leave categories that don’t track the leave balance for an employee. This means you can create leave categories that employees are eligible to apply for without needing to accrue the leave first. From the payroll dashboard, click on Payroll Settings > Leave Categories (listed under the Pay Run Settings heading). 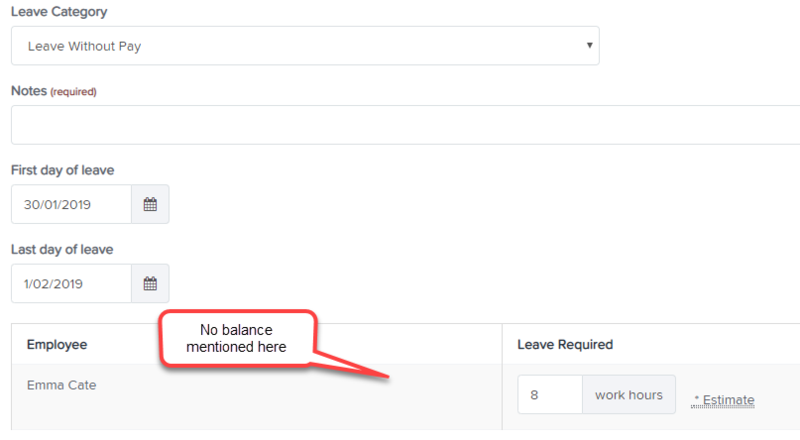 Create a new leave category or click on an existing leave category and under the 'Employee leave balance' field select "Not Tracked" from the dropdown list and click "Save". N.B. 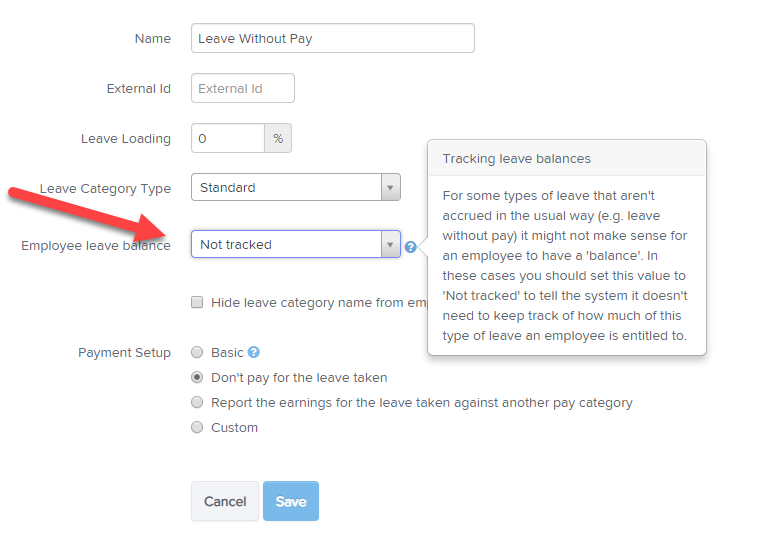 The system default leave category 'Leave Without Pay" is set up as per the above settings so you do not need to create another Leave Without Pay leave category. Additionally, when this leave request is applied in the pay run, there’s no associated balance that is updated and therefore no pay run warning will appear about the employee having an insufficient leave balance.